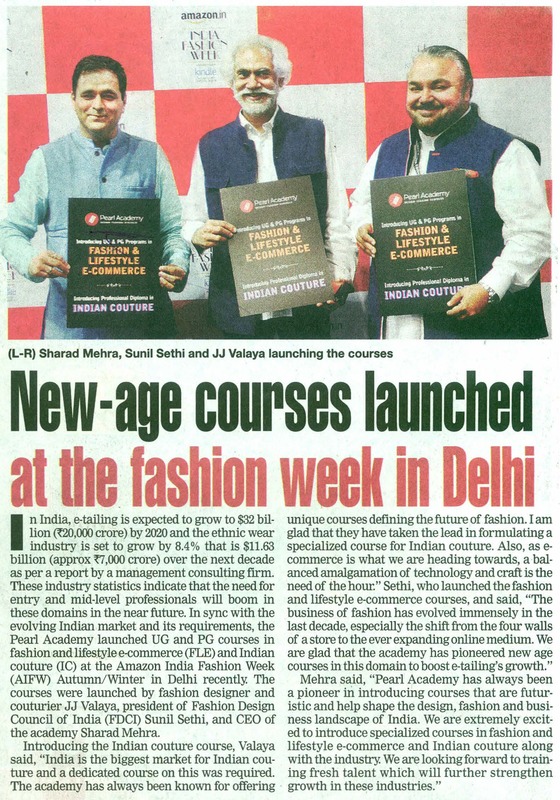 Pearl Academy launched UG and PG courses in fashion and lifestyle e-commerce (FLE) and Indian Couture (IC) at the Amazon India Fashion (AIFW) Autumn/ Winter in Delhi recently. Previous Post Admissions 2015 open at Pearl Academy for Undergraduate and Postgraduate programs, HURRY UP! !